It is fitting this year’s TELUS Cup will be held in Sault Ste. Marie, since 2013 marks 20 years since Marty Turco and the Sault Ste. Marie Legion team brought home the city’s first, and only, medal from the National Midget Championship. Turco won Top Goaltender honours as Sault Ste. Marie went 4-1 in the preliminary round, and took bronze after a semifinal loss to Yorkton (only three teams qualified for the medal round, so the semifinal loser was awarded bronze). After a season in Junior B, Turco was drafted in the fifth round of the 1994 NHL Entry Draft by Dallas before playing four seasons at the University of Michigan, winning a pair of NCAA championships and finishing his career as the winningest goaltender in NCAA history. In his first season as the Stars’ No. 1 goaltender, 2002-03, Turco set a modern NHL record for lowest goals-against average, at 1.72, finishing second in Vezina Trophy voting. 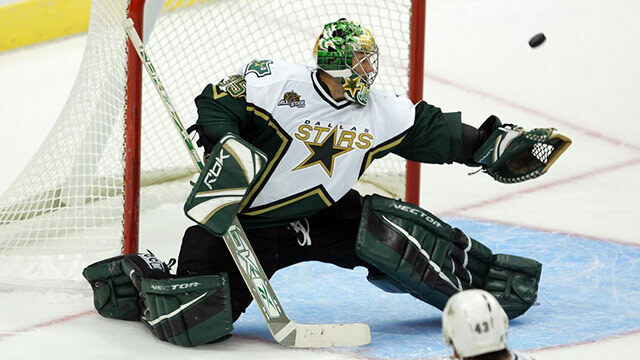 In all, Turco spent nine seasons in Dallas, setting numerous career and single-season franchise records, including all-time games played, minutes played, wins and shutouts. He capped off his career with a year in Chicago and a five-game stint in Boston late in the 2011-12 season. Turco will serve as event ambassador for the 2013 TELUS Cup. Led by the tournament’s Most Valuable Player and Top Scorer, Dany Heatley, the Calgary Buffaloes rolled through the preliminary round without a loss at the 1998 Air Canada Cup, finishing 4-0-1. The gold medal dreams ended in the semifinals with a 5-2 loss to host Sudbury, but Calgary recovered to earn bronze, giving the Buffaloes their fourth medal (one gold, three bronze) in as many trips to the National Midget Championship. Heatley went the Junior A route in 1998-99, winning national player of the year honours after racking up 126 points in 60 games with the AJHL’s Calgary Canucks. The second overall pick by Atlanta in the 2000 NHL Entry Draft, Heatley joined the Thrashers after two years at the University of Wisconsin, winning the Calder Trophy as rookie of the year in 2000-01. Traded to Ottawa in 2005, he had his greatest success in the nation’s capital, scoring 50 goals in back-to-back seasons and helping the Senators to the Stanley Cup Final in 2007. 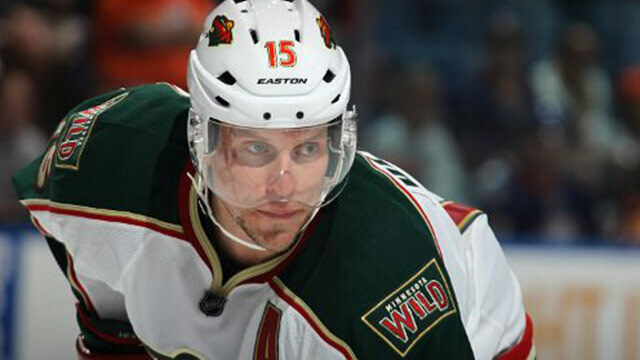 After four years and 180 goals in Ottawa, Heatley was traded to San Jose in the summer of 2009, and was shipped to Minnesota two years later. He has worn the red and white of Team Canada on 11 occasions, including at two Olympics, and is Canada’s all-time leading scorer at the world championship, with 62 points in 52 games over six appearances. The 1990 Air Canada Cup was not one to remember for Michael Peca and the Toronto Red Wings. In their third appearance at the national championship, the Red Wings missed out on the semifinals with a 1-3-1 record; their lone victory was a 6-3 win over Fredericton, which finished winless. Peca capped a stellar junior career by scoring 113 points in 55 games with the Ottawa 67’s during the 1993-94 season, winning a World Junior gold medal in the same year and making his NHL debut with Vancouver, which had selected him 40th in the 1992 NHL Entry Draft. He played just one season with the Canucks before being traded to Buffalo, where he served as captain of the Sabres from 1997-2000 and won his first Selke Trophy in 1996-97. Dealt to New York, he wore the ‘C’ for the Islanders for three years, taking home a second Selke in 2001-02 and winning an Olympic gold medal in the same season. 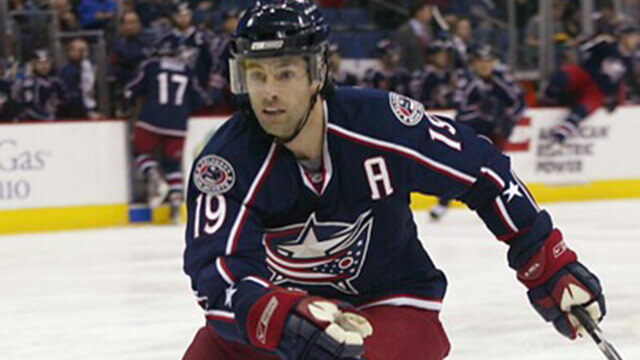 After a season each in Edmonton and Toronto, helping the Oilers reach the Stanley Cup Final in 2006, Peca finished his career with two years in Columbus. With seven future NHLers in their line-up (Lyndon Byers, Brian Curran, Gord Kluzak, Gary Leeman, James Patrick, Gord Sherven and Todd Strueby) the 1980 Notre Dame Hounds were one of the most dominant teams in National Midget Championship history, romping to the first of Notre Dame’s four national championships with a perfect 6-0 record, outscoring the opposition 36-15. After a stellar junior career that included a gold medal with Canada’s National Junior Team – the first under the Program of Excellence banner – at the 1982 IIHF World Junior Championship, Boston made Kluzak the first National Midget Championship alumnus to go No. 1 in the NHL Entry Draft. 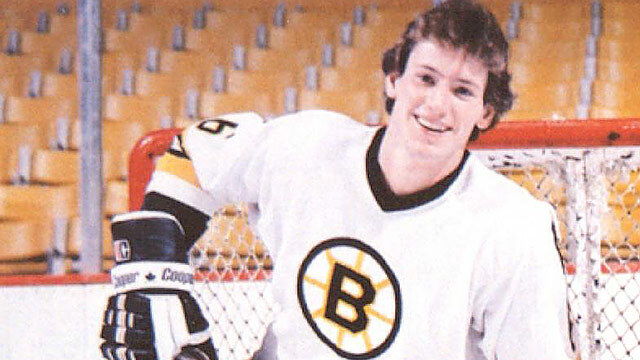 A rock-solid blue-liner for the Bruins, Kluzak ran into serious injury trouble in the mid-1980s, missing the 1984-85 and 1986-87 seasons with knee problems. Although he returned to play 70 games in 1987-88 and help Boston reach the Stanley Cup Final, Kluzak played just 13 more NHL games before prematurely retiring in November 1990. As a testament to his dedication, Kluzak was awarded the Bill Masterson Memorial Trophy in 1990 despite playing just eight games that season. The inaugural National Midget Championship was a coming-out party for 15-year-old Ken Linseman, who helped his Kingston team reach the gold medal game, where, despite outshooting Verdun 44-17, the Ontario champions would suffer a 5-3 loss. For his efforts, Linseman was named most valuable player of the tournament. Three standout seasons in junior hockey led Linseman to the WHA, where he started his pro career with Birmingham in 1977-78, averaging more than a point per game as a 19-year-old. He was selected seventh by Philadelphia in the 1978 NHL Amateur Draft, spending four seasons with the Flyers before a trade to Edmonton (via Hartford) prior to the 1982-83 campaign. 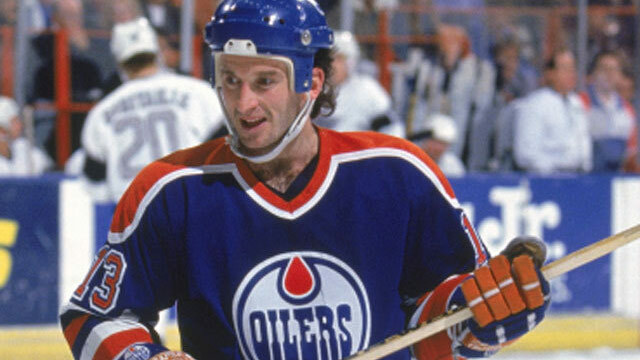 Playing on a line with future Hall of Famers Glenn Anderson and Mark Messier, Linseman helped the Oilers reach the Stanley Cup Final in 1983, and had 14 points in 19 playoff games the following year as Edmonton won its first championship. He was traded to Boston a month after the Stanley Cup win and played six seasons with the Bruins before returning to Philadelphia and Edmonton. He finished his career in 1991-92 with two games in Toronto and five in Italy.